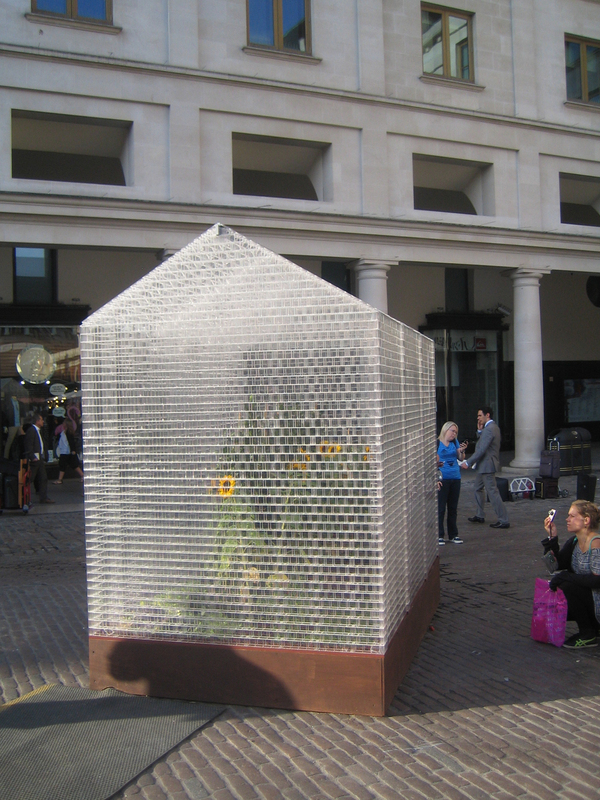 By now its bricks have been pulled apart, its sunflowers taken from Covent Garden's North Piazza, but from September 15 to 25, the Lego Greenhouse designed by Sebastian Bergne was one of the hits of the London Design Festival. I happened to catch it a bit by chance at the very end of my London design wanderings, and I'm ever so happy I did. And happier still that in going through my photos from my time in the Big Smoke that I've come across these. Get up close and you can see what's inside quite clearly. There was no door I could see on the structure, though, which made me wonder if the watering system wasn't automated. I liked this shot from further back which captures the infinite quality of the Lego blocks as well as the rare London sun shining down on the small structure. Much of the London Design Festival, which drew to a close last week, took place in galleries, showrooms, and tucked-away locales across the city. 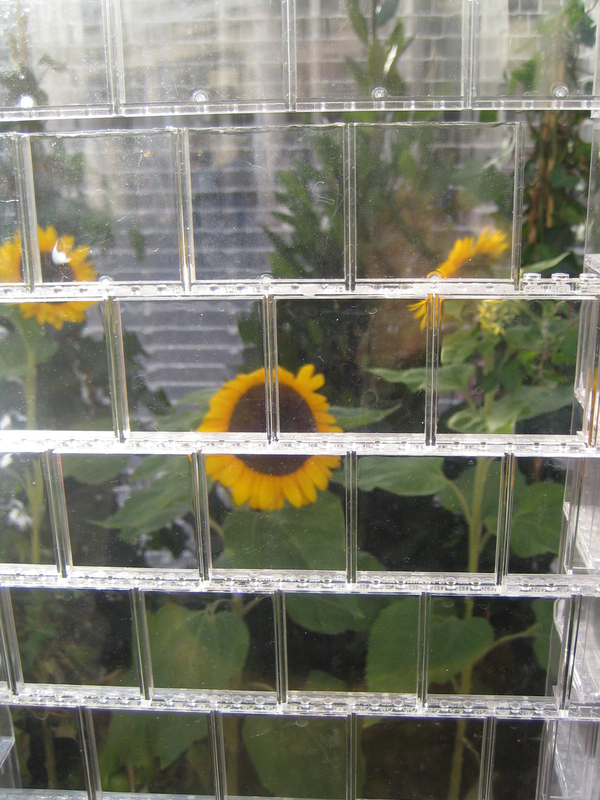 But the Lego Greenhouse was wonderfully public. When I happened past a crowd of onlookers of all stripes was ogling the winsome structure, and those who may have been oblivious to the entire festival got a good thrill out of this big charmer. The Design Festival itself comissioned the work, asking Bergne to devise the large-scale bit of public art. 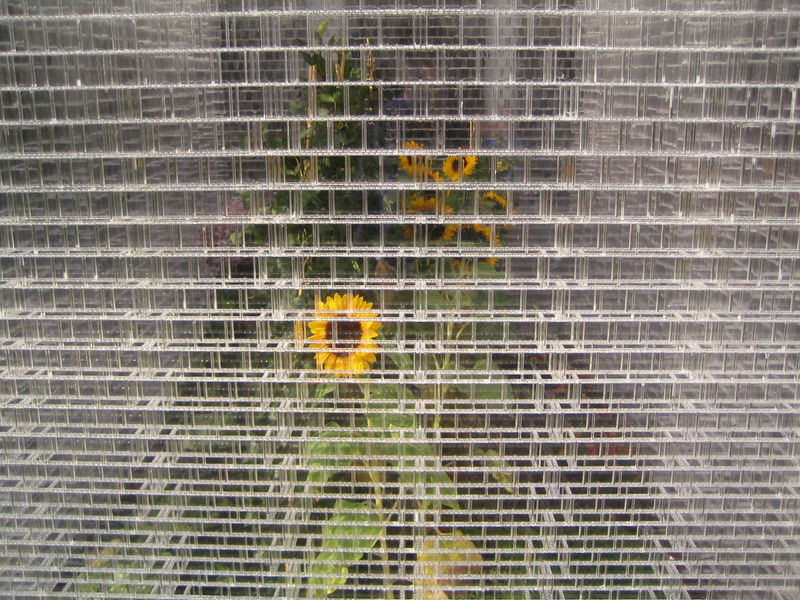 The transparent blocks and tall sunflowers were a perfect fit for the thrumming location just off the Covent Garden tube stop. And it made fine historical sense as Covent Garden (now a shopping district) was London's original fruit and vegetable market.